Chinese President Xi Jinping presided over the large-scale military parade at the remote Zhurihe training base in China’s northern Inner Mongolia region. 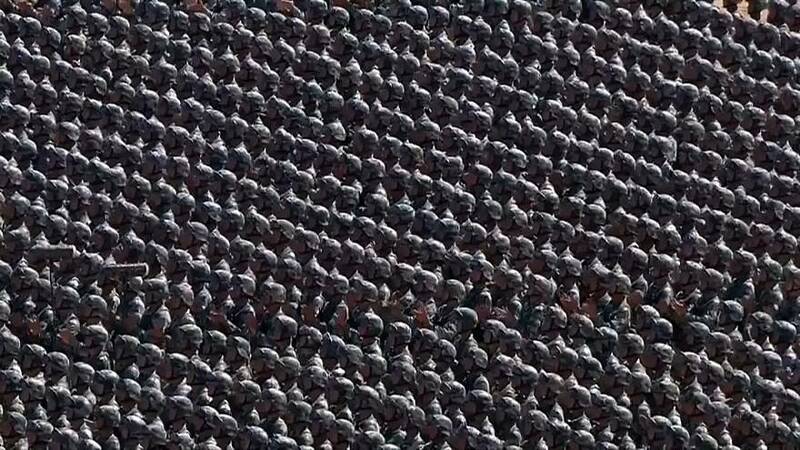 He told the military to transform itself into an elite force, as he oversaw a parade with flybys of advanced jets and a mass rally of troops to mark 90 years since the founding of the People’s Liberation Army. fighters and aircraft carriers, as well as cuts to troop numbers.